Believing Nokia and dates has left a feeling to many Nokia fans that it is like trusting a blind, homeless man to perform brain surgery on you – when you’re perfectly healthy. You’d be crazy to even consider it. 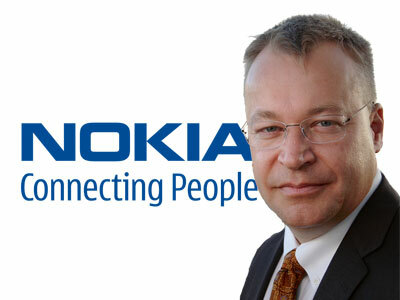 On February 11, Stephen Elop aligned Nokia with Microsoft on a partnership to produce Windows Phone. Such partnership had an effect on development of Symbian and MeeGo as focus and effort is pushed to make the transition to Windows Phone sooner. It’s all somewhat depressing. An expected downturn in Sales after Elop claims his house is burning. Who in their right mind would want to buy it? Seriously though, Nokia has mentioned before that during transition stage it expected lowering of market share and sales. Shame. Had the original plans worked, the new S^3 devices were supposed to lift Nokia up from S^1 AND S60V3 and MeeGo phone save the high end. Oh well. On the “upside” we now have proper confirmation of Windows Phone arriving this year. All has been pretty much hints so far that they’re trying to get it by 2011. Our teams are aligned, and we have increased confidence that we will ship our first Nokia product with Windows Phone in the fourth quarter 2011. I suggest you have a read of the link. There’s probably some more gems of info there. I have to get back to revision >_</. « Nokia E6 and Nokia X7, first Symbian Anna phones, now shipping. Symbian Anna “in the coming months”.